Four stunning recent events showed how the wheels are coming off the dictatorial regime of Vladimir Putin. First, Putin was humiliated by being denied Germany’s annual Quadriga award after international pressure forced the Germans to publicly withdraw it. Then, a new public opinion poll revealed that Putin is becoming just as unpopular at home as he is abroad. Then it got much worse. On July 5th, Pravda was fuming. It had just learned that the Netherlands had issued a blacklist against numerous Russian officials who were believed to be complicit in the torture and murder of attorney Sergei Magnitsky, who had leveled sweeping charges of corruption at the Kremlin and the been arrested. But that was only the beginning of Vladimir Putin’s troubles. EDITORIAL: Boot Russia out of the Council of Europe! Boot Russia out of the Council of Europe! Russia has only less than one-sixth the population of Europe, yet it has nearly one-third of all pending cases for human rights violations before the European Court for Human Rights, which is organized and maintained by the Council of Europe — of which Russia is a member. Russia has nearly three times more cases pending before the EHCR than any other nation, and Russia loses nine out of ten cases when it is prosecuted by the EHCR. The Kremlin’s response to its horrific human rights record — as adjudicated by one of the world’s most respected courts — has been quite simple: It is moving to oust the court’s jurisdiction from Russia. That’s fine, in fact it’s probably rather unfair to expect a nation of corrupt baboons to allow themselves to be controlled by something like the rule of law. But as former Russian parliamentarian Vladimir Ryzhkov argues in the Moscow Times, it means that Russia must be ousted from the Council of Europe, and the sooner the better. We call upon the COE to heed Ryzhkov’s words and move forward immediately in standing up for its core values and casting Russia out. And we state what is obvious: If Russia had the slightest shred of national dignity or honor, it would simply resign. Relations between Cold War-era foes Moscow and Washington have long been distrustful, hypocritical, peppered with mutual insinuations and patched together with the most tenuous of threads. But now, on the eve of State Duma and presidential elections, an inevitable crisis in relations is nearing that threatens to tear them apart at the seams. Last week, a group of 15 U.S. senators formally introduced a bill targeting Russians for human rights violations and corruption, including 60 officials connected to the jail death of Hermitage lawyer Sergei Magnitsky. The bill would ban them from entering the United States and freeze any U.S.-based assets. Real estate in Dubai and Montenegro. Regular first-class travel. Millions of dollars in Swiss bank accounts. 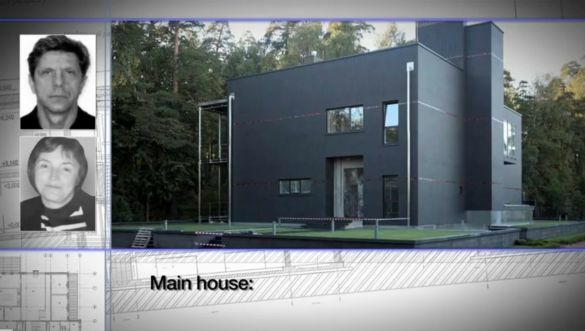 Russia’s second-best country house. And all made possible with an annual household salary of less than $40,000. Those are the findings of a private investigation into the assets of Olga Stepanova — the former Moscow tax official who authorized a $230 million payment that no one disputes was embezzled. The investigation is the latest conducted by supporters of Hermitage lawyer Sergei Magnitsky, who died in jail after accusing senior Interior Ministry officials of masterminding the $230 million fraud. The Interior Ministry, in turn, accuses Magnitsky and Hermitage in the fraud. It’s pretty darned hilarious how members of the Democratic Party lampooned the last Republican candidate for Vice President of the United States, Sarah Palin, for being a buffoon then turned around and elected to that office a person who gives new meaning to the word moron. Only Joe Biden could cram so much utter stupidity into such a small space. He makes Sarah Palin look like Winston Churchill. 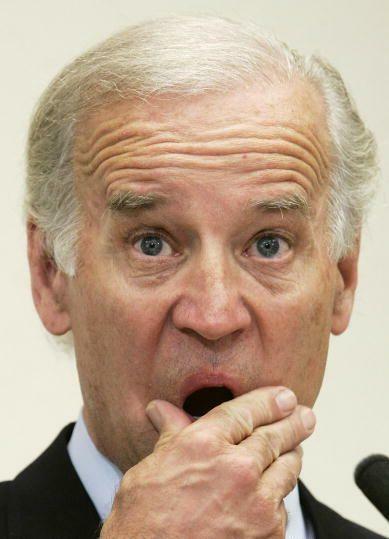 It’s actually hard to list all the ways Biden’s foolish utterance is wrong. Should you get home to find the door to your flat unlocked from the inside, that’s just the FSB (the KGB’s successor) letting you know they called. If you pick up the phone to hear your voice played back, as I have, someone is recording your conversations. Such was my life in Russia during my time as a senior official and then as British Ambassador from 2004 to 2008.